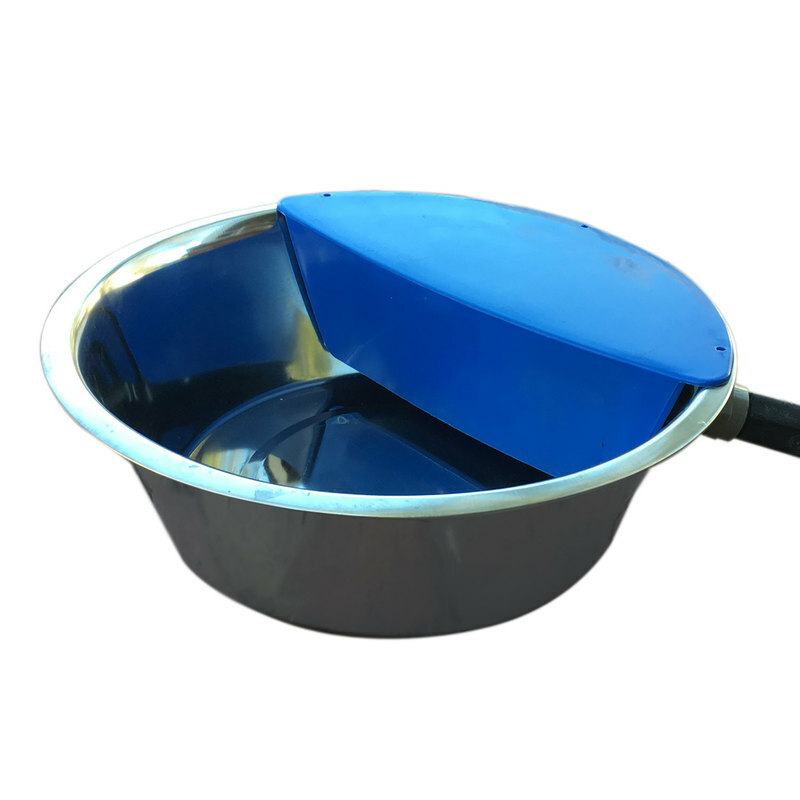 RPI Sir Aqua II Automatic Float Waterer 1.8 gallon Silver / Blue 13.5" x 13.5" x 4.5"
The bowl is manufactured from heavy duty hygienic stainless steel with a high density polypropylene cover to protect the float and valve mechanism. 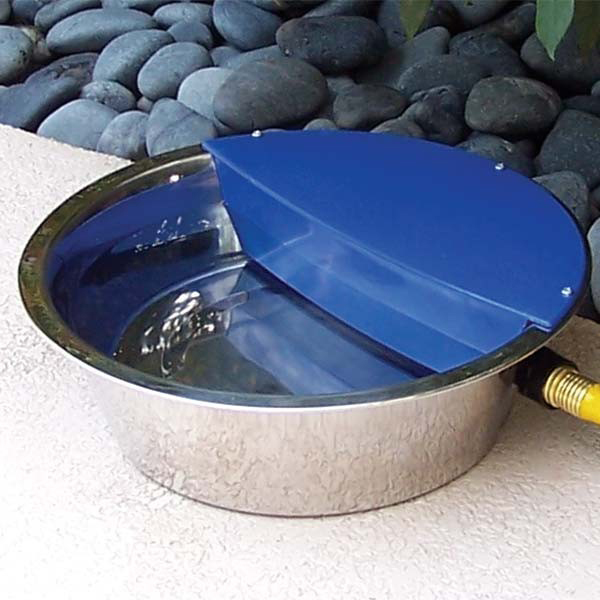 The 1.8 stainless steel waterer connects to any garden hose to provide consistent fresh water for your pets. Ideal for cats, dogs, sheep, goat, cattle, horses, or any outside animals of all sizes. The largest drinking area of its kind! Dimensions: 13.5" x 13.5" x 4.5"
14" x 14" x 4.3"